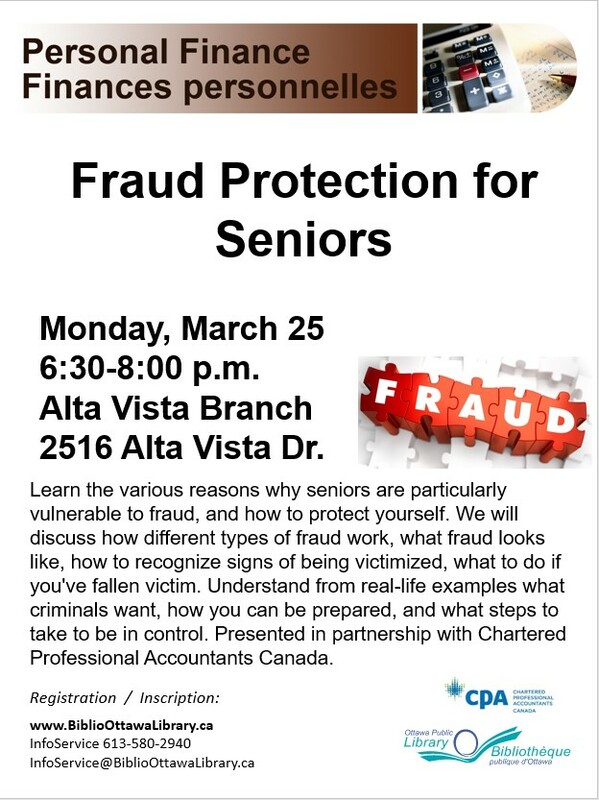 The Ottawa Public Library will be holding a Fraud Protection for Seniors program on Mnday, March 25 at 6:30pm at the Alta Vista Branch, 2516 Alta Vista Drive. Join a Chartered Professional Accountant for a discussion of how different types of fraud work, what fraud looks like, how to recognize signs of being victimized, what to do if you’ve fallen victim. Understand from real-life examples what criminals want, how you can be prepared, and what steps to take to be in control.